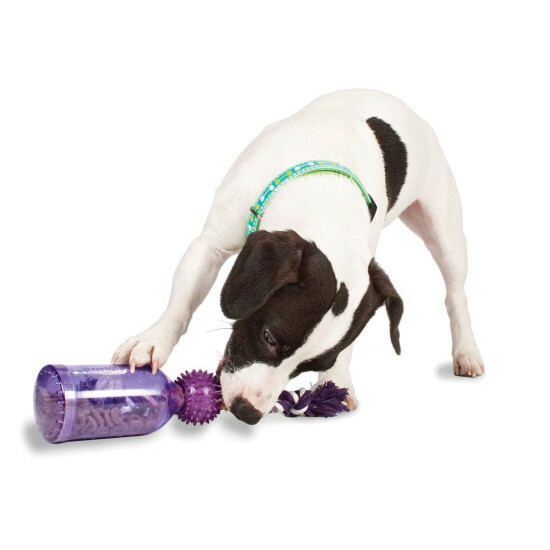 The Busy Buddy Tug-A-Jug rewards and challenges your dog at the same time. 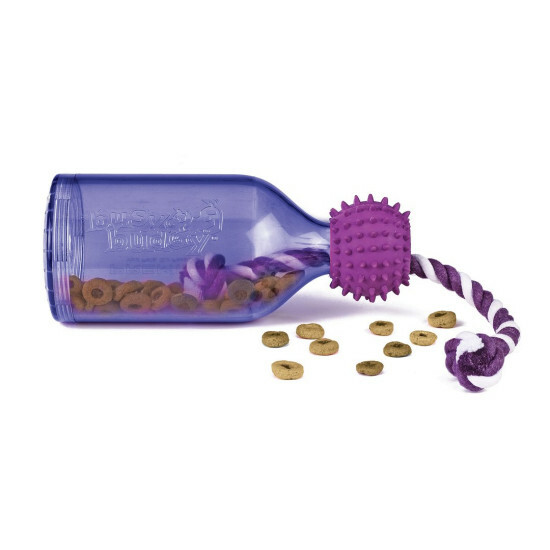 The unique design appeals to all five senses to encourage dogs to play; dogs can see, smell, and hear the treats while moving the Tug-A-Jug around to receive a tasty reward. 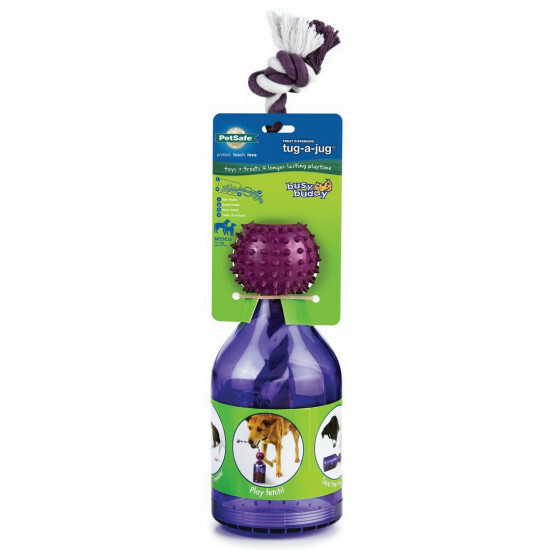 Use it to regulate meals, play games, or teach training commands. To use, twist off the bottom lid of the Tug-A-Jug. Load with treats or kibble, and then replace the lid. As dogs play with the Tug-A-Jug, treats will randomly come out through the opening at the top of the jug. The rope acts as a barrier to meter the amount of food that is dispensed.